Medicare Advantage (MA) membership exceeded 21 million as of February 1, 2018, compared to 19.6 million a year ago according to the latest analysis brief from Mark Farrah Associates (MFA), released March 26. Managed Medicare continues to be an attractive growth market for health insurance companies as only 34% of the 61 million people eligible for Medicare across the United States and U.S. territories are enrolled in MA plans. According to Centers for Medicare and Medicaid Services (CMS) Medicare Advantage enrollment reports aggregated by MFA in Medicare Business Online™, total Medicare Advantage (MA) plan enrollment as of February 1, 2018 increased 7.6% from February of 2017. The top 10 carriers covered 70% of all Medicare Advantage enrollees. UnitedHealth remained the leader with over 5.25 million enrolled, commanding 25% of the market. Humana was second with a 16.8% market share. Aetna and Kaiser Foundation ranked third and fourth, respectively. Notably, Aetna saw the largest growth at 19.4%, allowing it to swap places with Kaiser Foundation among the four largest MA organizations. Of the top 10, all but Cigna (-4%) and Highmark (-0.9%) realized year-over-year growth, with the average net gain being nearly 10%. 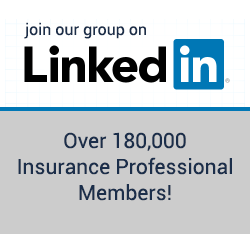 McMurray, Pa.-based MFA reported that 80% (approximately 16.8 million) of MA membership was through direct purchase policies while only 20%, or 4.1 million, of total MA enrollees were enrolled in employer – group retiree plans. However, group membership added over 441,000 more beneficiaries, year-over-year, and continues to be to be a viable opportunity for health plans. 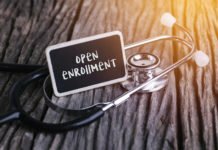 Additionally, as of February 2018, 61% of all members were enrolled in an HMO plan as this plan type continues to predominate Medicare Advantage coverage. 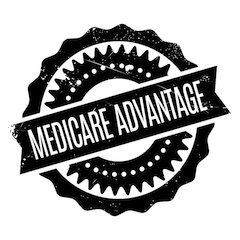 Medicare Advantage plans rely on February and March enrollment reports to evaluate their standing and assess which competitors gained and lost members during the last Annual Election Period, (AEP). Many companies conduct their post-AEP competitive assessments by using tools such as Mark Farrah Associates’ (MFA) Medicare Business Online™ and Health Coverage Portal™. To read the full text of “Medicare Advantage Plans Cover Over 21 Million Seniors as of February 2018″, visit the Analysis Briefs library on Mark Farrah Associates’ website. About Mark Farrah Associates: MFA is a leading data aggregator and publisher providing health plan market data and analysis tools for the healthcare industry. Committed to simplifying analysis of health insurance business, products include Medicare Business Online™, Medicare Benefits Analyzer™, Health Coverage Portal™, County Health Coverage™, and Health Plans USA™. I understand that about 50% of NEW Medicare Beneficiaries are choosing MA plans. The headline looks incorrect, and the article does not give evidence supporting the headline. Well, there really aren't two-thirds of Medicare age people who are potential MAPD candidates. Some of those are on Medicaid (yes, those could possibly be on a DSNP and thus be on a MAPD) and some are on employer sponsored group plans. So the numbers are reduced as to potential growth. I would say the 34% market share that carriers have is a substantial amount. And if you removed those who are on employer sponsored group plans from the equation, MA carriers probably have closer to 40%-45% of Medicare beneficiaries market share. I don't see a ton of growth as a percentage of Medicare beneficiaries. 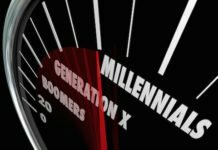 But due to the fact that a large number of people are turning 65 each year for the next several years, there will be an increase in pure numbers. Not necessarily an increase in percentage of those eligible though. Building on Scott's two cents and adding my nickel's worth . . .
A surprising (to me at least) equal percentage have employer plans. Those take on many different versions including pure retiree medical (becoming a rarity), HRA, group Advantage, group Medicare supplement plus probably a few others I did not mention. If the MA agents want to tap a market they should seek out those who fall in the "none" category since agents who sell MA plans claim their client base can't afford a supplement plan. I’m Guessing tricare falls under none or other? Five cents, you just had to out do me didn't you? Only gone from 5% to 33% since 2006 ? That's why I get the big bucks. 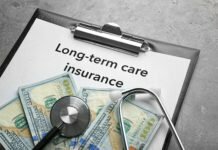 Are you doubting the number of Medicare beneficiaries currently enrolled in Medicare Advantage plans as stated in the article? The CMS website is filled with statistics that will confirm the number. There’s no way it’s half. Think of employer plans, Medicaid and med supps. I was giving him the benefit of the doubt on this one and assuming he meant of those who had the option to choose between a Med Supp and MAPD are choosing MAPD. I don't know if that figure is accurate or not, but I assume that's what he was saying. Since you only posted a link, what are you trying to convey here? On stats from 6 years ago. Do you have a link to support that figure? What % of these 2/3 live in non MA areas? That is the question. 47.38%. My source is anonymous. I was wondering the same thing. I spent all of 2.3 minutes looking and said "screw it". Here's the KFF breakdown, which excludes the SNP and Duals in one of the charts. Now see, my anonymous source said it was 47.37%. You just can't trust anyone to give you the right info anymore! In my part of N California, the nearest MA plan is 60+ miles away. We are so rural, we are lucky to have electricity. It is a very strong market and getting stronger. Direct Mailers still work.